The 38th annual Frank Low Research Day will be held in the West Atrium of the UND School of Medicine and Health Sciences in Grand Forks on Thursday, April 19. Named in honor of the former anatomy professor who came to the SMHS in the 1960s and pioneered a series of new techniques for the electron microscope, Frank Low Research Day is the culminating event of the academic year for many researchers at UND working in the biomedical sciences. At this year’s event, more than 120 faculty members, post-doctoral fellows, and students will present oral and/or poster presentations on a wide range of biomedical, health sciences, translational, and clinical topics. Poster presentations will be on display in the West Atrium on the first floor of the SMHS. This year’s Frank Low Day keynote speaker, Rosanna Peeling, professor and chair of Diagnostics Research at the London School of Hygiene and Tropical Medicine and director of the International Diagnostics Centre, will give a presentation in the SMHS Charles H Fee, MD Auditorium (E101) at noon that day. Dr. Peeling’s talk is titled “The Global Crisis of Antimicrobial Resistance: Be part of the Solution!” Lunch will be provided on the Grand Forks campus, but please RSVP here if you plan to attend in Grand Forks. 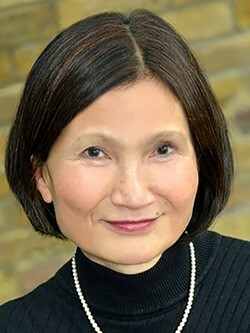 Before assuming her current positions, Peeling was research coordinator and Head of Diagnostics Research at the World Health Organization’s Special Program on Research and Training in Tropical Diseases in Geneva, Switzerland, and was chief of the Canadian National Laboratory for Sexually Transmitted Diseases. Her work at the World Health Organization focused on the evaluation of diagnostics to inform policy and procurement decisions in developing countries. Peeling’s work at the London School of Hygiene and Tropical Medicine spans from facilitating test development and evaluation to translation of evidence to policy, appropriate placement of new diagnostic technologies into different health care settings to ensure maximum impact, and innovation in the uptake of testing by marginalized populations. In 2014, she was awarded the George MacDonald Medal by the Royal Society of Hygiene and Tropical Medicine for contributions to tropical medicine, becoming the first woman to receive this honor. Peeling is currently serving on the Expert Advisory Panel for a new Global Fund, and spoke on antimicrobial resistance at the 2016 United Nations General Assembly in New York; the 2017 World Economic Forum at Davos, Switzerland; and at the World Health Assembly convened by the World Health Organization in 2017. She is currently working with the newly established Africa Centre for Disease Control on their Antimicrobial Resistance Surveillance Network, and is putting together a Massive Open Online Course on the role of diagnostics in the global antimicrobial resistance response. The talk is also available at your desktop here. If anyone has interest in meeting with Dr. Peeling during her short time at the UND SMHS, please contact Dr. Jonathan Geiger, Department of Biomedical Sciences at jonathan.geiger@med.und.edu or 701.777.2183. For additional information on Frank Low Research Day, contact Lori Sannes at 701.777.2516.